This logo was a commission for S-Man, a client who wanted a personal logo for his online profiles. He is a gamer who livestreams his video game experiences. 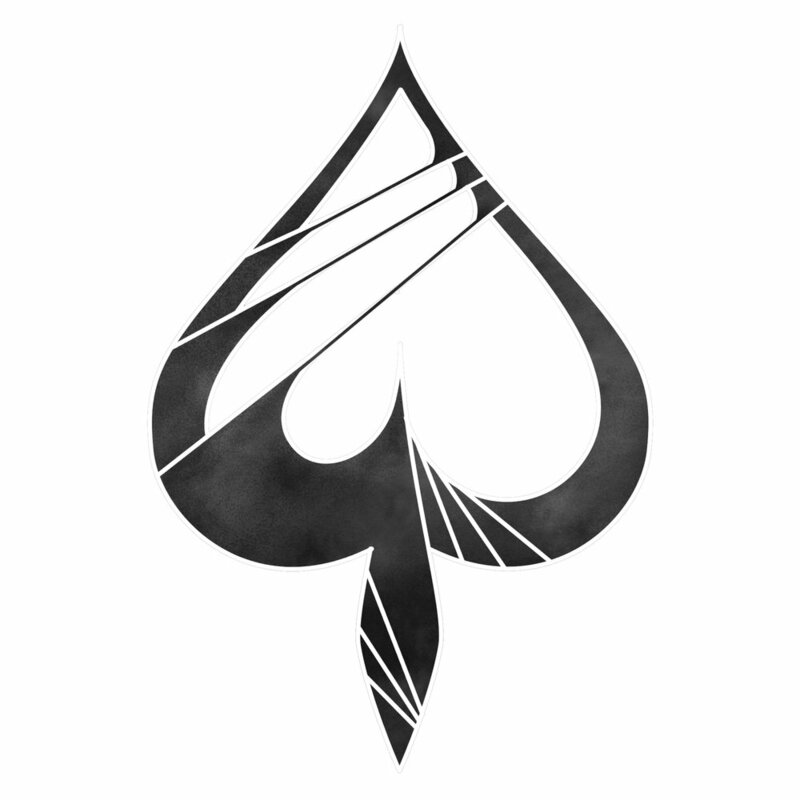 I was contacted by the client after he had seen another spade I had done for a blog post some time in the past, and wanted a spade to use as his own logo. In order to create a logo the client would like, I interviewed him extensively. 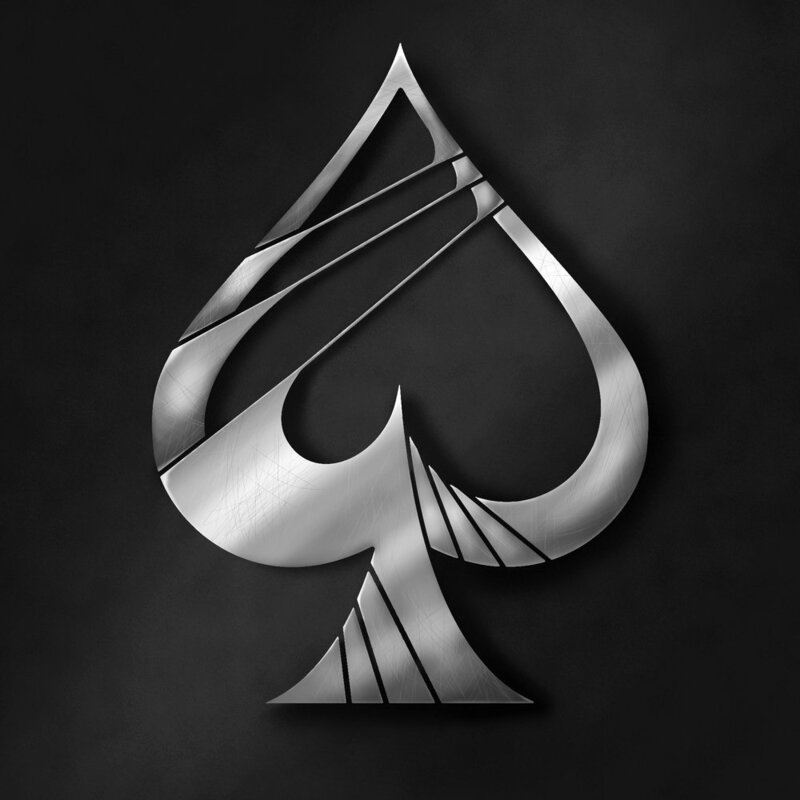 Mainly, the client wanted the spade in black and white, no text, to be used as a pocket logo for his profile. Original concept sketch for the spade logo. After sketching and revising drafts, I sent higher-fidelity mockups to the client for revision. These mockups were created using Adobe Illustrator and Adobe Photoshop. We went through several iterations of the same spade, mostly focusing on the base, as shown below. In the upper left was the mockup that most resembles my original sketches. After receiving this iteration, the client requested that the spade be darker, and also wanted a different base. After that I created several other mockups with different bases to try and narrow down what the client was looking for. 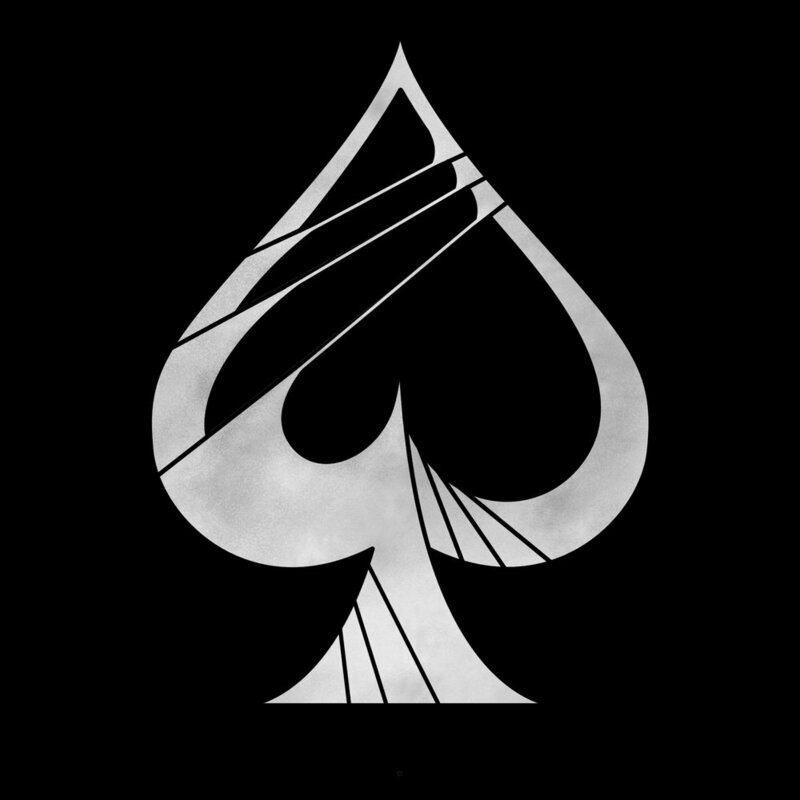 The first final spade logo can be seen below. The base was changed to wider, more traditional base, and lines were added for consistency. The client also ended up using the spade with inverted values. A few months later, the client expressed the desire to "upgrade" the logo to have a metal texture, resulting in the final you see below. I really enjoyed working with the client to create something that he was proud to have representing him.